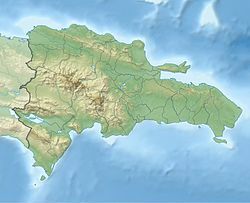 Paraíso is a town in Barahona Province, in the Southwest of the Dominican Republic. It is a small city surrounded by green mountains and rivers that end up at the Caribbean Sea. San Rafael and Los Patos are the two municipalities that are in both corner of Paraiso. Both towns have a tourist approach with beaches and fresh rivers water that come from the top of the mountains. The weather is tropical with an average temperature of 85°F. Paraíso is the Spanish and Portuguese word for Paradise. This page was last edited on 19 November 2017, at 10:22 (UTC).